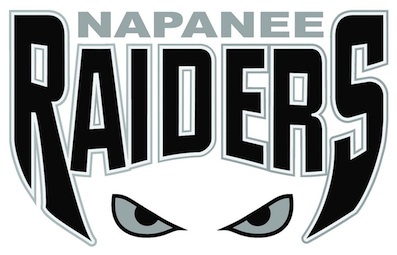 Whoever said the fourth win to close out a playoff series is the toughest one to get must never had met the Napanee Raiders. On Wednesday the Raiders emphatically punched their ticket to the Schmalz Cup finals, squashing the Hornets 6-1 in Alliston to complete the semifinal sweep. Jacob Murphy put the Raiders on the board 2:47 into the game and Nelson Powers doubled the lead with a power-play goal at 10:19. Cam Harris picked up two assists while Cullen Hinds had one. Ryan Casselman continued the offense with a short-handed goal less than two minutes into the second as Brodie Maracle picked up the assist. Alliston’s Jack Beck broke the Raiders’ scoring streak with a power-play goal less than a minute later in what would turn out to be the Hornets’ last goal of their season. Harris restored the three goal lead midway through the second while Reid Humphrey and Justynn Steven tacked on insurance goals in the third to secure the 6-1 victory. Nicholas Nabuurs picked up his fourth win of the series and 12th straight of the postseason with 20 saves. Tyler Ryan took the loss, allowing all six goals on 40 shots. Napanee had historically had their struggles against the Hornets, losing their last two postseason meetings. This time around however they had no trouble, controlling every aspect of the series en route to the quick sweep. Napanee remains unbeaten in the playoffs, now 16-0. With the win the Raiders now advance for the Schmalz Cup finals for the third time in franchise history, first since 1996. In 1993 they defeated the Hanover Bruins 4-2 while in ‘96 they lost to the Paris Mounties 4-1. Napanee will now await their finals opponent. In the province’s other semifinal matchup, the Grimsby Peach Kings and Exeter Hawks are tied 2-2. Game 5 goes tomorrow night with Game 6 on Saturday and Game 7 would go Sunday.